On March 4, 2013, Tatarstan’s capital hosted a meeting of the Kazan Expert Club of the Russian Institute for Strategic Studies (RISI) with the theme “The Impact of Events in Syria on Russian Muslims.” It was organized by RISI’S Volga Center for Regional and Ethno-Religious Studies and was in the format of a scientific conference. In his opening address, the moderator, Rais Suleymanov, noted that the fighting in Syria is in its third year (it has been going on since 2011), and it has affected not just the situation in the Middle East, but Russian Muslims as well, and that was the topic of scientific discussion at the forum. The expert said that Russian supporters of the Syrian rebels sent him threatening emails for holding the conference, evidently out of concerns that it would denounce those the anonymous senders support. However, they did not prevent the roundtable from being held. Cand. Sc. (Philosophy) Associate Professor Vladimir Ulanov of Kazan State Agrarian University is convinced that “Syria is a springboard for an attack by the West on Iran.” He believes that “in the long term, it will result in the transfer and spread of the chaos of the ‘Arab revolutions’ from the Middle East into Central Asia, the Volga Region and the Caucasus.” He said, “We must not forget that the oil and gas factor is at the root of this insurgency in the Middle East that has been going on since 2011. Therefore, it is important to the countries of the West that the same thing happen in Central Asia, Azerbaijan and Russia’s oil-rich republics — Tatarstan, Bashkortostan and Chechnya.” He suggested that if Syria falls Iran will follow, and Russia will be the next target. Malik Guliyev of Kazan Federal University, who holds a master’s degree, reviewed how the media in various countries have covered events in Syria since 2011. He said that publications in the EU and the United States report events from a standpoint opposed to Bashar Assad and supportive of the Free Syrian Army, whereas the Russian media supports Assad. The official Syrian news agencies attempt to downplay losses of government troops. Israeli newspapers look upon the civil war in Syria as a forerunner of an Islamic revolution. In his paper, Vasily Ivanov, a research assistant at RISI, revealed the informational methods radical Islamists in the Volga Region and the North Caucasus use to shape anti-government sentiments among Russian Muslims. He believes Islamic fundamentalists on the Internet turn Russian Muslims against the legitimate Syrian government by persistently campaigning against it and constantly demonizing Bashar Assad. “Groups that support militants fighting in Syria are active in the social networks on the Internet, spreading biased information in order to get the Russia’s youth to sympathize with the Wahhabis who oppose official Damascus,” Ivanov said. RISI Director Rais Suleymanov presented a paper entitled “The Impact of the Fighting in Syria on the Muslim Ummah of Tatarstan.” He said the organizers and participants at a meeting held on August 5, 2012 in Kazan publicly sided with al-Qaeda fighters. Waving flags of the “future caliphate,” members of Hizb-ut-Tahrir urged attendees to pray “for the brothers fighting the tyrant in al-Sham (Syria).” Suleymanov believes it is very revealing that calls to overthrow Tatarstan’s secular government started being heard after that shared prayer. Precisely the same pattern was followed in Dagestan, where meetings by Islamists urged solidarity with the militants fighting Assad’s legitimate government in illegal military units. 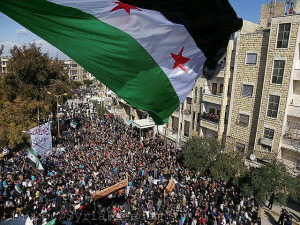 “It is unsurprising that soon after public calls for solidarity with the Syrian Wahhabis on the Internet and in the city squares of Kazan and Makhachkala we saw Russian Muslims fighting in their ranks,” he said, adding that various estimates place the number of Russian Wahhabis fighting Assad at 250, and that they have even formed entire rebel units. It is very revealing that even members of the Bulgar Jamaat — armed units of Russian Wahhabis who fought with the Taliban but relocated to the village of Degon in Pakistan after US forces entered Afghanistan in 2001 — have gone to Syria. The most famous Russian Wahhabis fighting Assad in Syria are Daud Khalukhayev from Ingushetia (leader of the Chechen Brigades) and Airat Vakhitov (alias Salman Bulgar) from Tatarstan. They have engaged in public relations work for the rebels on the Russian Internet. Tatar militants are still fighting alongside Assad’s enemies despite the fact that Khalukhayev was killed in February 2013. Suleymanov says there is a danger that the Russian Muslims fighting for the rebels in Syria will return to their homeland. “After gaining combat experience, they can join the Wahhabi underground in Tatarstan, increasing its activities in the Volga Region,” he said. Some Tatars have already returned from Syria via Turkey. Suleymanov has also taken the sense of Tatarstan’s Arab diaspora, which numbers about 500 people. He said that the Arab community is made up of several geographic groups, with Iraqi Arabs comprising the majority. Yemeni Arabs are the second most numerous, followed by Arabs from Palestine, Syria, Lebanon and Egypt. However, the majority of the Arabs living in Tatarstan are inclined to support the anti-government forces in Syria, with both the Syrian Arabs and the other geographic groups in the Arab diaspora sharing their attitude. He recalled that an attempt was made in Kazan on March 17, 2012 to disrupt the photographic exhibition “Syria — the Cradle of Civilizations and Religions” in Tatarstan’s State Museum of Fine Arts, which was organized by the Syrian community. The person responsible was a member of the Arab diaspora who opposed the legitimate government in Damascus. He displayed anti-Assad posters even though it was a purely cultural event. In his address at the conclusion of the conference, Suleymanov said that the civil war in Syria that has been going on for three years (since 2011) bears a strong resemblance to the Algerian Civil War, which began in 1991. It lasted more than 10 years and is still going on at a low intensity to this day: The legitimate government controls much of the country, and the Islamists hold sway over just a few regions while continuing to periodically carry out attacks. The Islamist lobby in Russia’s information space is striving to convince the Kremlin that it should support the Syrian opposition, arguing that “Moscow would reap political dividends if the Islamists win.” In fact, they are urging that Assad be “given up.” Suleymanov said, “However, if the Islamists earlier called our country ‘Islam’s enemy,’ as the Muslim Brotherhood’s spiritual leader Yusuf Qaradawi recently did, it would be naïve to expect that if we begin supporting the Syrian rebels they would immediately be smitten with love for Russia. And if that is the case, why should Russia stop supporting Syria’s legitimate government, especially when we all see what our country got out of the Wahhabi victory in Libya: nothing!” And he added that our leaders’ unclear position on Libya at the time resulted in the loss of an ally in North Africa. Meanwhile, Russian Muslims are trying to use the Syrian rebels as a model for relations with their own government by spreading anti-government sentiments and a Jihadi agenda, and they are cultivating disloyalty by creating a romanticized image of the Wahhabi mujahedin. If the process deepens in the future, it will transform the Muslim Ummah in Russia into a fifth column, which evidently is what those who support the military activities of the Islamist alliance fighting the legitimate government in Syria are seeking. Rais Suleymanov is Director of the Volga Center for Regional and Ethno-Religious Studies of the Russian Institute for Strategic Studies. This article was written expressly for New Eastern Outlook.